01. In many books, authors don’t clearly state what the problem is and are much too eager to get to their solutions. 02. Writers should try to avoid being salespeople in their books. 03. In the rush to write books, man writers don’t think trough whether they really want to spend the time it will take to write a book on their topic. 04. Writing can be a very personal matter, so be careful who you speak with about your writing. 05. Authors frequently make the mistake of making their books too theoretical. 06. Writers often don’t know where to start. 08. Writer mistakenly believe that a top-quality book and a great publisher are all that matters. 09. Writers often have unrealistic expectations. 10. Too many writers want to publish books for the wrong reasons. 11. Inexperienced writers often wrestle with impatience. 12. Writers are often uncertain or mistaken about who their readers will be. 13. Many writers do not understand the market. 14. Too many writers get enamored with subjects and think that there is more to them than there actually is. 15. Lack of dialog and questions can make for a dry read. 16. Sentences and paragraphs that are longer than readers can digest will make the readers put down books. 17. Writers often believe that they must include every one of their thoughts, all of their brilliant gems. 18. 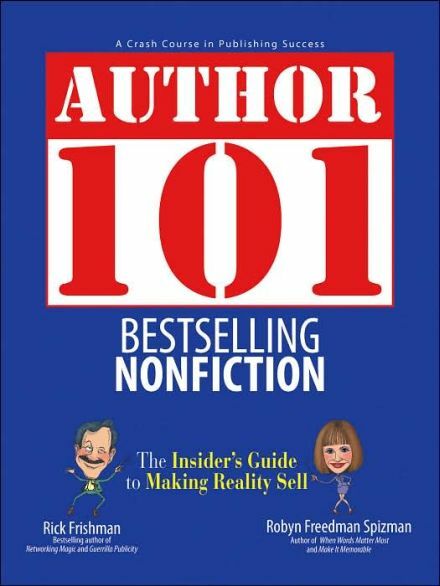 Authors frequently use the improper level and tone of writing for their readers. 19. Young writers tend to try to throw all of their good stuff into their first book, even when it doesn’t really fit. 20. Many writers are overly self-critical and it paralyzes them.